Recognized for her bold, brilliant compositions, Marcia’s paintings are brimming with vigor and exuberance. Her colorful, viewer-friendly canvases have stirred interest in collectors worldwide. Marcia began selling on the then Sotheby's On Line Auctions in December, 1999. Her auction sales record has placed her among the most successful emerging fine artists in the market. Marcia Lain Herring is a listed fine artist in the prestigious MAYER 2000/01 International Auction Records. 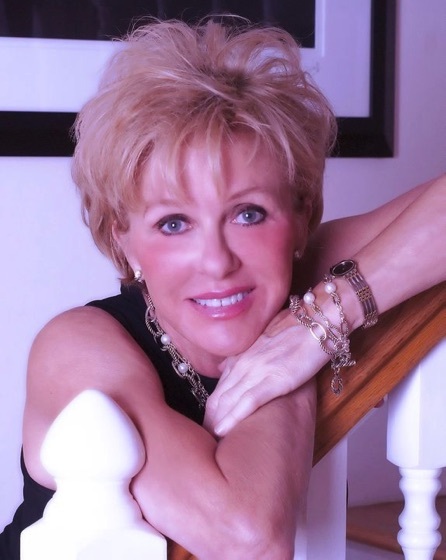 Born 1952 in Canton, NY, she has traveled extensively throughout the US and Europe. Energetic and versatile, working in several mediums, she is best known as a colorist. Her strong sense of the luminous captivates the viewer. Starting with only the finest gallery wrapped canvas, on custom built stretchers--often armed with only a pallet knife, Marcia creates thick, rich three-dimensional perspectives of nature and fantasy compositions. Other techniques often incorporate molding paste and rice paper, shaped and layered, bathed in brilliant glazes of transparent color. Painting outdoors, throughout the many gardens and parks near her Winter Park, Florida home has allowed her to more fully sense the influences of ever changing light and nature. Marcia Lain Herring was the featured fine artist at Orlando Museum of Art January 2002. Marcia's works hang in Universities, corporate offices and the residences of many private collectors throughout the USA, UK and Europe. Her Scandinavian collectors include the Swedish Consulates to Spain and Venezuela.